Exclusive and Retained, our Executive Search Practice is primarily focused on Board and CXO level leadership hiring. Our goal is to deliver value to each client we serve and to help you attract top talent and to build adaptive, diverse people organizations that are prepared to fulfil strategic business objectives. We seek to understand each client’s strategic goals, the specific leadership roles and competencies needed to meet those goals, and the culture that new executives need to embody. Our executive recruiting consultants possess the expertise and contacts to best support our search. We draw on our high-level professional networks, industry knowledge and internal research resources to identify the right people. To stay on the cutting edge of talent strategy, we constantly track key trends in the global market for talent, and continually innovate our services and approach. Executive Search ensures a quality outcome by targeting and contacting every potential candidate, not just those seeking new roles, resulting in candidates of higher caliber. We represent you professionally to candidates; the whole process ensuring confidentiality, time bound efficiency and cost effectiveness. It also ensures pre-qualification of candidates which will leave the line manager to focus on recruitment decisions. A strong emphasis on quick turnaround timelines and a highly process driven and customized Search Practice which relies heavily on knowledge management and industry research paradigms, ensures that the results are swift, sure and outstanding, as is witnessed through our client portfolio and success record. Given the highly intensive research led operations to our executive search model and a personalized candidate contact approach, we have demonstrated consistent results across Multinational, Transnational, start-up, complex and even unique or novel talent requirement demands, specific to each client organization. Jyotika is a part of Executive Search practice. She is based in New Delhi. Over 24 years of experience in the Executive Search industry across varied industry segments, Jyotika has authored and been part of several success stories. From co-founding Spearhead InterSearch (a globally top ranked consulting firm) to driving the Leadership Search practice at ABC Consultants (pioneer of organized recruitment services in India), there are several more such initiatives and achievements demonstrating her resourcefulness, drive, ambition and tenacity to deliver the best possible outcome. Jyotika is a part of Executive Search practice. She is based in New Delhi. Over 24 years of experience in the Executive Search industry across varied industry segments, Jyotika has authored and been part of several success stories. From co-founding Spearhead InterSearch (a globally top ranked consulting firm) to driving the Leadership Search practice at ABC Consultants (pioneer of organized recruitment services in India), there are several more such initiatives and achievements demonstrating her resourcefulness, drive, ambition and tenacity to deliver the best possible outcome. Over the years, she has led and executed successfully multiple critical and complex leadership hiring assignments/mandates for MNCs, corporate houses and other leading Indian organizations. She has recruited Board Members, C-Suite Executives and other senior leaders at a global level by employing a healthy mix of scientific methods and personal network/expertise accumulated across the 24 odd years spent in the staffing and recruitment industry. 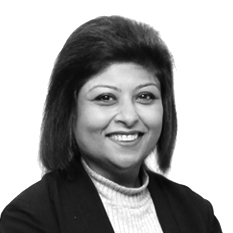 A prolific networker and believer in building close and long term relationships between client and candidate, coupled with a deep understanding of the Indian corporate landscape and talent marketplace makes Jyotika an outstanding, effectual and influential consultant. She can be reached at 011-49343900. 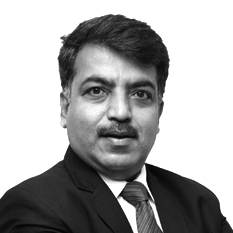 Vaibhav Gaaydhani heads the Infrastructure, Value Added Services verticals and is a part of Executive Search Practice. He is based in Pune. Vaibhav has delivered on mandates mostly in the Industrial / Manufacturing / Automotive / Infrastructure domain but a few also in Consumer, Not-for-Profit, Pharma and Technology sectors. Typical searches concluded include Managing Directors, CEO's, Business Heads, Functional Heads and Country / Regional Heads. 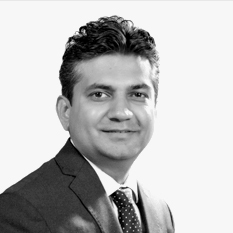 Vaibhav Gaaydhani heads the Infrastructure, Value Added Services verticals and is a part of Executive Search Practice. He is based in Pune. Jaidip Sarkar works with the firm’s Executive Search arm. He is based in New Delhi. He is based in New Delhi. 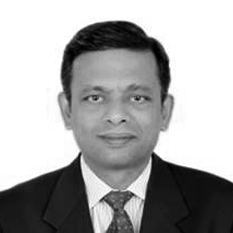 Jaidip started his career as an HR Executive with the Patni Computer Systems Ltd. in Kolkata. Jaidip moved into the Executive Search & Selection space nearly 16 years back. In Search and Selection space his first job was with PricewaterhouseCoopers where he was involved in turnkey recruitment solutions with several well known national and multinational clients. Jaidip Sarkar works with the firm’s Executive Search arm. He is based in New Delhi. Jaidip started his career as an HR Executive with the Patni Computer Systems Ltd. in Kolkata. Jaidip moved into the Executive Search & Selection space nearly 16 years back. In Search and Selection space his first job was with PricewaterhouseCoopers where he was involved in turnkey recruitment solutions with several well known national and multinational clients. His strength lies in providing Search solutions to large Indian business houses. Jaidip is very strongly grounded in the classical search methodology and brings a highly intensive and qualitative approach to his assignments. He has successfully worked with clients in building their world class leadership teams across C-suite level assignments (CEO, COO, CFO). Jaidip is a graduate from Calcutta University and has a Post Graduate Diploma in Human Resource Management. He can be reached at 91-11-42393900.